Everyday, it seems that the Burning Sun scandal involving former Big Bang member Seungri continues to implode. Outside Korea, Taiwanese celebrities Darren Wang, Chen Bolin and a few others were linked after old photos of them partying with Seungri made the rounds online. Darren Wang stressed that he had nothing to do with the scandal while Chen Bolin wrote a cryptic Instagram post that seemed to be directed at the rumors about him. He wrote, "Embrace kindness. Forgive ignorance. A beautiful world with irresponsible comments." 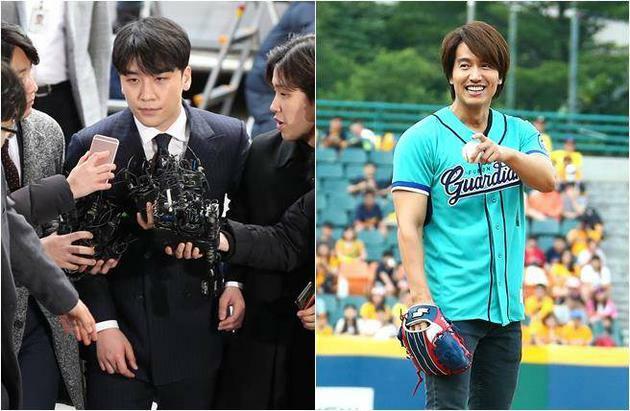 The latest name to be involved is Jerry Yan who is said to have attended one of Seungri's private parties at the OMNI nightclub when the latter visited Taiwan in 2015. Considering that Jerry Yan is somewhat older and has been known to keep out of the public eye, many were surprised at the revelation. Honestly though, it seems that any remote connection to Seungri is going to be highly scrutinized at this point and there aren't even photos of Jerry Yan at the venue! Regardless, it has gotten Jerry Yan trending on Chinese social media site weibo for his 'alleged' response (which I'm not even sure he actually said). According to reports, he said that he only came to greet Jaycee Chan whom he knew was in the area and did not know that Seungri was there until he found out the next day. No, no, no. Not Jerry please! This is getting out of hand. It's seem that any celebrity that associate either directly or indirectly with seungri will be suspected with the scandal. Is it too big a corruption case that even non-Koreans are being linked/used to cover it up?